Providing all the tools to help you build leading blockchain applications, block by block. 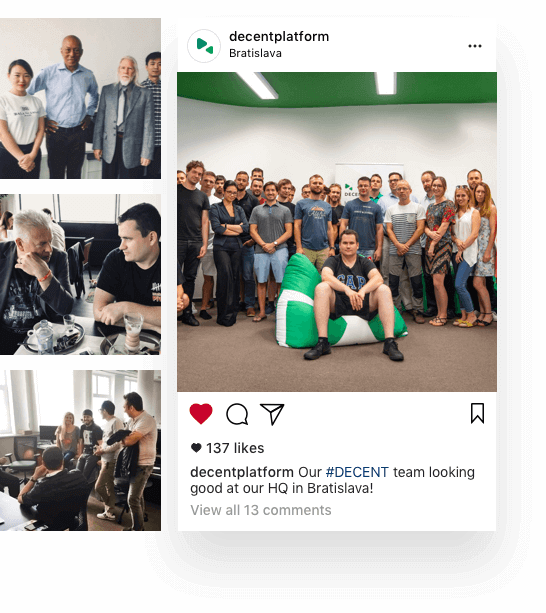 Founded in 2015, DECENT is one of the first blockchain companies. 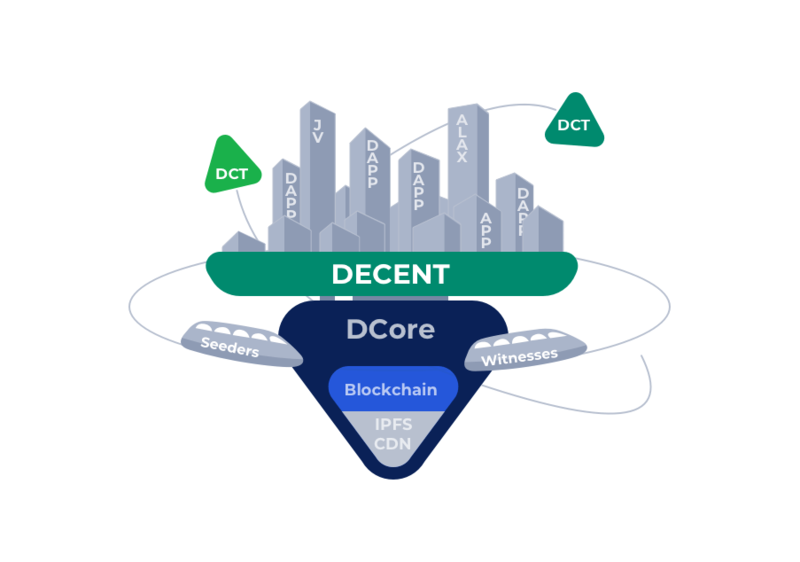 DECENT has developed their own blockchain protocol; DCore, a platform that empowers users to create or migrate applications into a blockchain environment. Cooperating closely with top investment funds and incubators, DECENT is dedicated to building an ecosystem upon its proprietary blockchain technology to help developers and businesses adapt to a decentralized future, especially within the media and entertainment industries. The story of DECENT originated when the Founder, Matej Michalko, recognized the unfair conditions content creators had to endure to have their works published and made available to the general public. Intermediaries generally charge up to 70% of the artists’ revenue for distribution costs. Blockchain’s traceable and decentralized architecture enabled Matej and his team to develop a safe, transparent and fair solution for content creators to publish their work, and DCore was born. Launched in 2017, DCore is the blockchain you can easily build on. As the world’s first blockchain designed for digital content, media and entertainment, DCore provides user-friendly software development kits (SDKs) that empower developers and businesses to build decentralized applications for real-world use cases. DCore is fast, powerful, cost-efficient and packed-full of customizable features making it the ideal blockchain for any size project. Perfect for media and content distribution and capable of so much more. DECENT’s extensive experience with blockchain protocols, such as DCore, has allowed the company to successfully incubate and invest in several businesses in the blockchain space. We focus on building DCore’s ecosystem through accelerating blockchain innovations and identifying top-notch industry applications. We provide all the technical tools and incubation services to help tech startups and entrepreneurs get started in the exciting world of Blockchain. DECENT provides a content distribution system on DCore. DECENT creates a direct user-to-developer marketplace, where purchases and transactions are processed using DCT (DECENT’s cryptographic asset) or other User Issued Assets. Users can access games and in-app purchases quickly and securely. DECENT offers a revolutionary ticketing solution which enables digital tickets and proof of transactions. DECENT provides full automation & instant record keeping software where consumption figures data is chronologically and immutably stored in the Blockchain. We specialize in identifying current & future trends and preparing organizations to grow their business beyond the usual markets. Brand-safety, ad-view & click verification, transaction settlement and analytics systems can be integrated with publishers’ and advertisers’ existing DSPs into one easy to use solution. It can boost efficiency and data integrity for digital advertising. It is fast, scalable, and secure to meet advertiser needs. DECENT offers certification & proof of originality systems connecting supply chain data with the physical world. DECENT provides a blockchain solution for management of E2E airworthiness process.